with papaya, which I thought was out of season. the egg trees continue their yields against reason. we’ve had in a long time. It means a lot to all of us. and women alike with their tapered shapes. Tom doesn’t think we should stand for it. is the gist of Frank’s rebuttal. I tend to agree. pancake breakfasts held in the basement of a church. in their shells. Then Sarah makes an arresting contribution. Papayas are an aphrodisiac. Mangos, too. 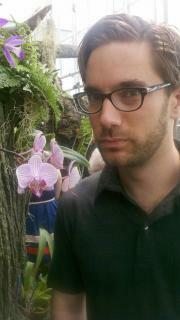 David Welch has published poems in journals including AGNI Online, Gulf Coast, and Kenyon Review Online.